What Are Ticks and What Do They Do? Ticks are known to come from 18 genera and have 900 species. These tiny arachnid survive by sucking the blood of others. While it’s nasty to think that a bug is feeding on you, that isn’t really the bad news. Ticks are external parasites that transmit a variety of diseases – all of which lead to severe illnesses and in some cases, even death. It is therefore of great importance that we protect ourselves, and even our pets, from tick bites. Usually, ticks lay eggs in large numbers on fringe grasses and other perimeter vegetation. As adults, ticks have an incredible ability to locate hosts and attached themselves to passing animals. Once the tick gets onto its host, let’s say your eight year old son, it then crawls to a warm area, like the armpit, bites, and starts sucking blood. But the problem is not the bloodsucking so much as the poisons and bacteria the tick injects into its host. To avoid being bitten by ticks and contracting a life-threatening disease, preventative measures must be taken. Know when ticks are most active in your area and limit your exposure to these areas. When hiking in the woods or working in the yard, wear a bug repellent, and keep your skin covered – wear long sleeves and long pants. As soon as you come inside, always do a thorough ‘tick-check’ all over your body. Hire a professional tick control company to barrier spray your yard. 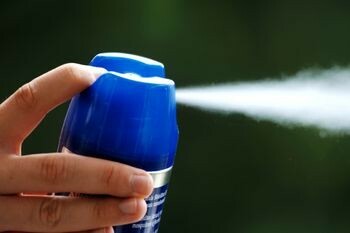 The nontoxic spray should take out almost all the ticks in the area. Unfortunately, no matter how careful we are, ticks may still find their way onto us or our animals. So, it’s still important to know how best to remove them. 1. Use pair of tweezers to grasp the tick’s head and patiently, gently and steadily pull it. Do not just yank it out. The mouth of the tick contains the harmful microorganisms – yanking the tick out may leaving the mouth portion attached to the skin, leading to a later infection. 2. Apply disinfectant to the bitten area. 3. Kill the tick with alcohol then place it into a resealable bag with date label. 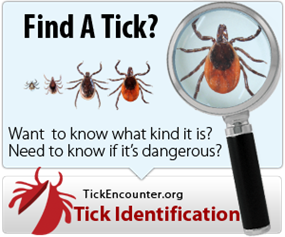 If you do end up with some sort of disease or infection later on, being able to classify the tick the bit you will help determine what disease you have. Don’t Let This Tick Ruin Your Love of Red Meat!